Bio Sculpture Gel’s new High Pigment Nail Art Kit includes eight highly pigmented primary color gels, eight puffer applicators, a metal plate, and a selection of art stencils including butterflies, bows, and hearts. To prepare High Pigment Gels, apply a small amount onto the metal plate. Use a puffer to repeatedly dab the color on the metal plate until the desired shade is achieved. Allocate one puffer to each High Pigment Gel color. 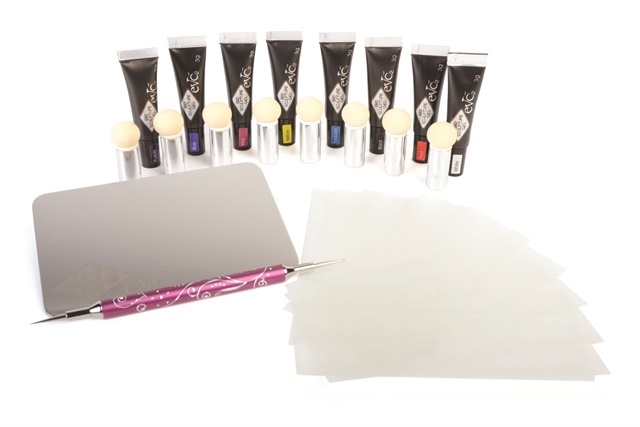 The puffers can be used to dab color on the nail, creating precise color fades, or to apply color over the stencils. For more information, visit www.biosculpturegel.com.